I can't believe we're into July already, and six months of Alphabakes! To mark the occasion, we have a prize to giveaway to one lucky UK entrant from Dr. Oetker Baking: Scroll down to the bottom to see who won! We had a lot of walnut entries for this month's challenge, which didn't surprise me - it was the first W ingredient I thought of! White chocolate seems to have been quite popular too. 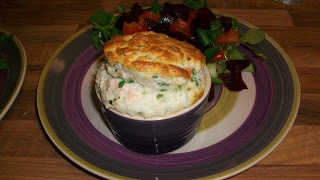 But as usual, even using the same ingredient has turned up some very different recipes and given me lots of new ideas. And of course we had some more unusual entries as well! Next and not from anyone related to me were these two simply amazing wedding cakes by Nom from the Nom Bakery. She said this was the first time she’d made a wedding cake and I’m seriously impressed! 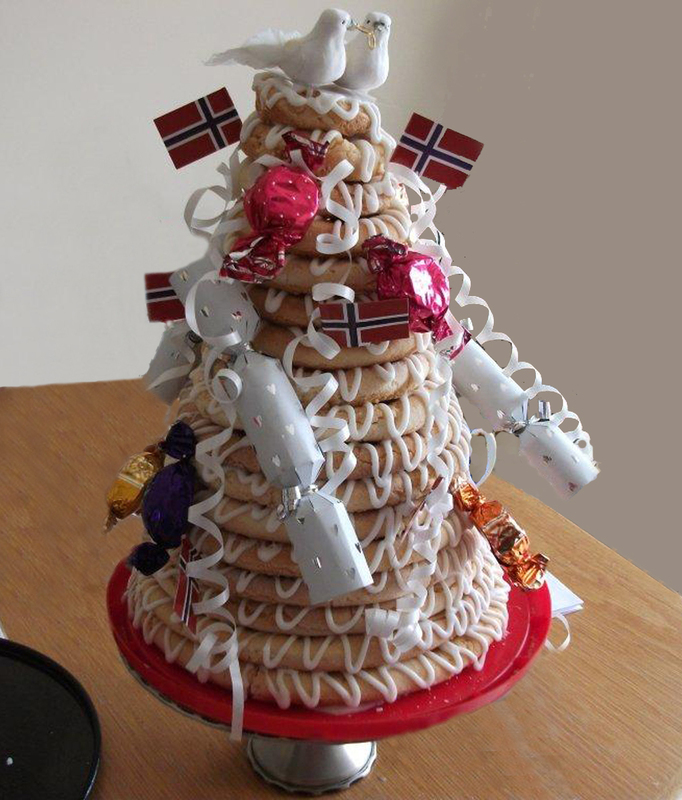 This first one is a traditional Norwegian Wedding cake, made up of 18 rings of chewy almond cake decorated with icing, flags, streamers, crackers and sweets. Secondly Nom also made this Cherry Blossom Wedding Cake: it’s a three-tiered chocolate sponge cake with beautiful gumpaste flowers. All I can say is wow! Leanne from Little Life of Scrap sent us these Coffee and Walnut splodge biscuits, which she said were not too sweet, with a slight bitterness from the coffee, that she offset by sandwiching some of them together with buttercream. WhatKate Baked for Alphabakes this month was… a Dundee cake, to satisfy hunger on what looks like a major bike ride. It’s light, crumbly and fruity, and uses whole blanched almonds and whiskey. Looks like you earned it after all that exercise! My co-host Ros from The More Than Occasional Baker made one of my favourite comfort foods – Chocolate Whoopie Pies. 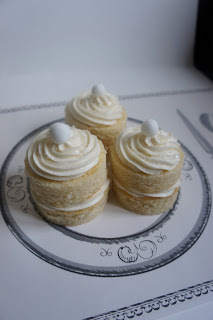 She filled them with Marshmallow Fluff which I only discovered myself recently – it’s amazing stuff, and these look great. Ros is also very original and I knew she had an unusual ingredient up her sleeve, but couldn’t guess what it was… it turned out to be wasabi! I’ve only ever had it on sushi but Ros very cleverly incorporated it into these Wasabi and WhiteChocolate Cupcakes. I love the green icing too! Another walnut entry, this time from Katherine of Leeks and Limoni, who sent us these Coffee and Walnut Cupcakes. She did it properly (unlike me) and used espresso, and has a Gaggia coffee machine I’m quite jealous of, and I don’t even drink coffee! Next for something I’ve never heard of… Wors Cannelloni. Claire from Under the Blue Gum Tree is living in South Africa and brings us this sausage dish, using boerwors – South Africa’s answer to the British banger. The sausages wrapped in cannelloni look a little like hot dogs, and I think I might have to give this recipe a go! Kit from i-Lost in Austen also hit upon the idea of wasabi, and said she had a recipe she’d been waiting to try: Avocado, Ham, Wasabi and Black Sesame Seed Loaf Cake. I love how the chunks of avocado show through, and can’t help wondering if it tastes as good as it looks! These Walnut Brownie Cupcakes from Janice of Farmersgirl Kitchen look so cute, I think I could eat all three! In fact I’m getting hungry now just looking at them…. Fiona from Sweet Thing You Make My Heart Sing inverted a black-bottom cupcake to make a white-bottom cupcake, what a good idea! It’s a vanilla cupcake base with a chocolate cheesecake top- and the whole thing is topped with white chocolate frosting, Yum! 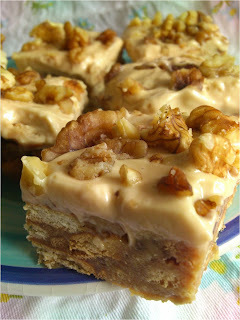 Utterly Scrummy sent us this Walnut and Coffee Fudge Slice which looks… utterly scrummy! It’s a no-bake recipe though you do have to leave it in the fridge overnight, if you can manage to without eating it! I couldn’t resist making this recipe as it was a triple W-whammy: Walnut Whip Whoopie Pies! There’s ground walnut in the whoopie pies and they are decorated to look like walnut whips, what’s not to like? When I was a Girl Guide, we would toast marshmallows around the campfire. In America on the other hand, they eat s’mores – a toasted marshmallow and a layer of chocolate between two biscuits (graham crackers). Do they do everything better than us?! Mackenzie from Cookie Sleuth turned the campfire treat into these amazing S’mores Whoopie Pies; she filled the chocolate whoopee pies with crushed graham crackers and marshmallow fluff and made something that looks absolutely delicious. I made something for my birthday party back in April and am so behind with my blogging I hadn’t posted it yet… and realised it began with W, so made sure I published it this month! 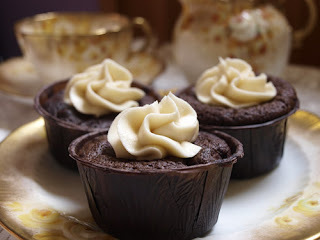 Here are my White Russian cupcakes, which use vodka and chocolate liqueur (rather than the standard coffee liqueur that goes into this cocktail, but I thought chocolate would taste better!). 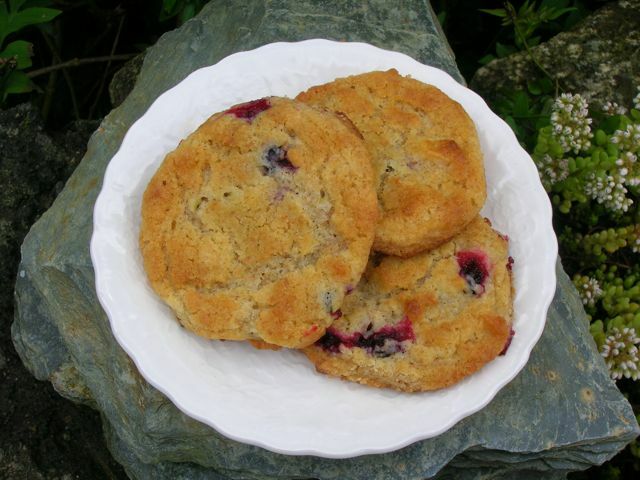 What else could Choclette have chosen for this month’s ingredient other than white chocolate… these blackcurrant and white chocolate cookies look very moreish, and made loads even though Choclette halved the quantity in the recipe – now that’s my kind of recipe! As I write, there is blazing hot sunshine, but most of this month has been a washout with heavy rain seemingly every day. 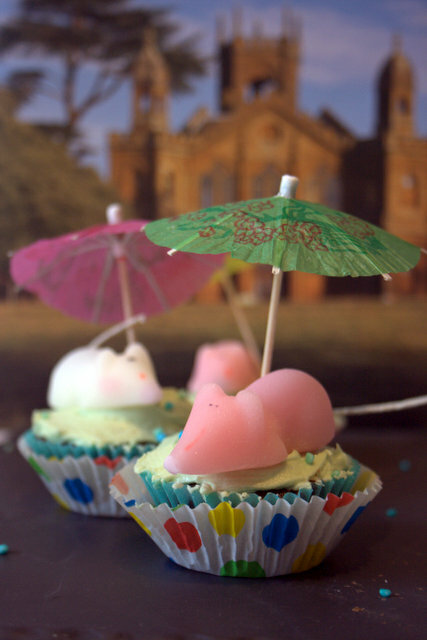 Helen from Fuss Free Flavours decided to send us an appropriate bake for the downpour: these Weather Cakes feature sugar mice under little umbrellas, and would be great fun for kids to make.
. I think there’s something lovely about recipes that have been handed down through families, and Dom from BelleauKitchen treated us to this Ginger and Whisky Parkin – a tribute to Olive McDonald. It looks lovely and I’m glad you found the recipe, Dom! My sister Clare sent us this amazing white chocolate cheesecake with a ginger biscuit base; I love the swirly pattern on the top and hope she makes it the next time I come round! 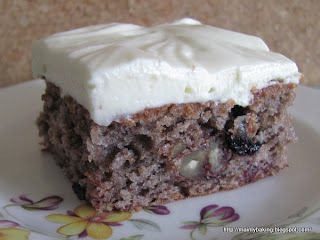 White chocolate was also the ingredient of choice for Suelle from Mainly Baking who sent us a Blackcurrant Jam Cake with White Chocolate Cream Cheese Frosting. She said the flavour matured overnight and it tasted better the next day!
. It’s nice to have a few savoury entries for Alphabakes and Jen from BlueKitchen Bakes didn’t let us down – her Smoked Salmon and Watercress Souffles look delicious and it can’t have been easy to get them to rise so perfectly! 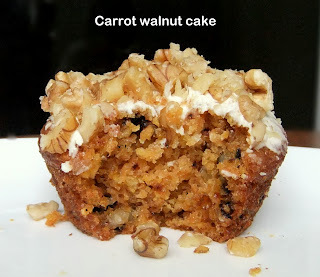 Mich from Piece of Cake is helping me watch my waistline with this Healthier Carrot and Walnut Cake – she substituted Greek yogurt for some of the oil and the result looks very tasty indeed. This elegant creation comes from Olivia from Liv A Little Bakery: a White Chocolate Whiteout Cake. 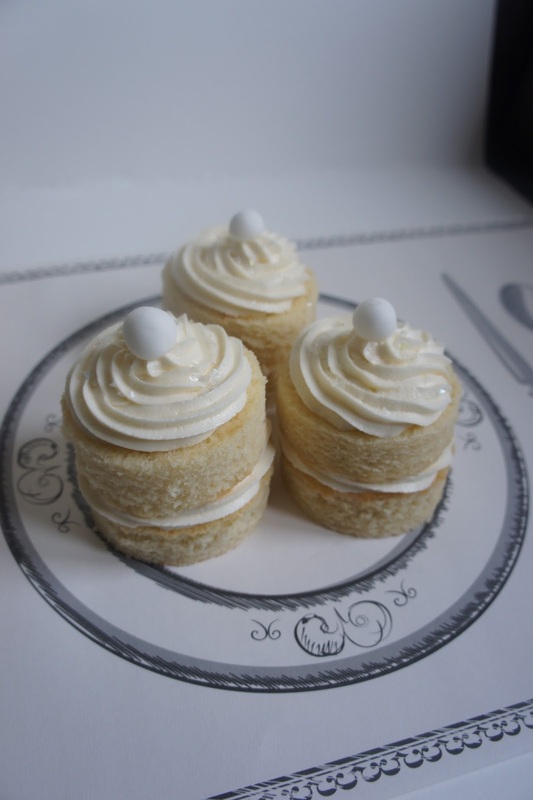 It’s a miniature white chocolate layer cake covered with sweet white chocolate buttercream. They are small, but look wonderfully rich! Sophie from Totally Caked Out sent us a very summery recipe that would be lovely for a garden tea party – this White Chocolate Strawberry Cake. There is melted white chocolate in the cake mix and the top, with its piles of strawberries and grated white chocolate, looks particularly nice. 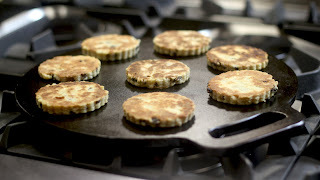 As a contrast to all this white chocolate, how about some Welsh Cakes? 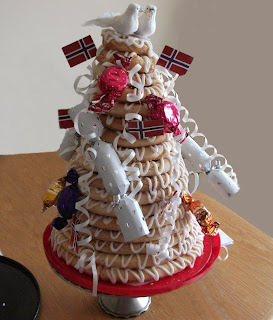 Thanks to Eira from Cook Books Galore for this entry. 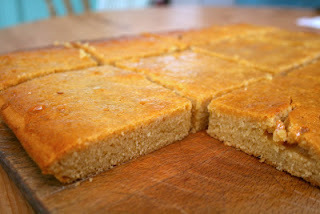 Her gran used to make these and she even inherited her griddle so it’s truly a family recipe. And funnily enough the very next entry we had was….. more Welsh Cakes! These ones come from Angela of Garden Tea Cakes and Me. It’s the first time she’s made them and I think they turned out well! These Walnut, Pear and Blue Cheese Muffins from Susie at Fold In The Flour would be lovely for a picnic – or an indoor brunch if it’s raining again! She followed that up with a WhiteChocolate and Lavender Crème Brulee which looks wonderfully decadent! Michele from Piece of Cake came up with another lovely bake for us this month – a Watercress and Capsicum Quiche. 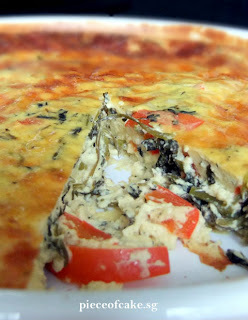 It’s a healthy version as it’s a crust-less quiche and uses cottage cheese, which makes it both delicious and virtuous! 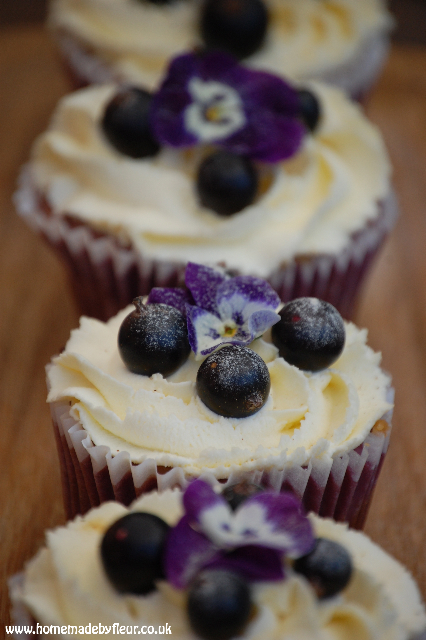 These Blackcurrant and White Chocolate Cupcake-style Cheesecakes look delicious, and I love the little flower decorations on top! Fleur from Homemade By Fleur made them for a BBQ and says they went down very well – I’m not surprised! These appropriately-named White Chocolate Show-Offs come from Lucas of CoverVersions TV. He gets brownie points for having adapted the recipe from my co-host for Alphabakes, Ros’s website! I don’t know how he makes these videos but I think they’re brilliant – and the cookies look pretty good too! I can’t believe I didn’t think of one of my very favourite Ws to use as an ingredient this month… white wine! (No, I’m not a lush…). Luckily Mel from Sharky Oven Gloves came to the rescue with these kir macarons, which use white wine, white chocolate and crème de cassis – they look amazing! 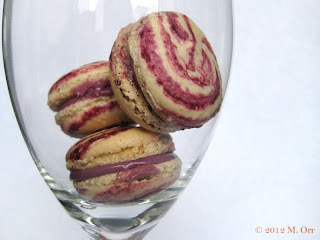 I really like how she has photographed them in a wine glass too. 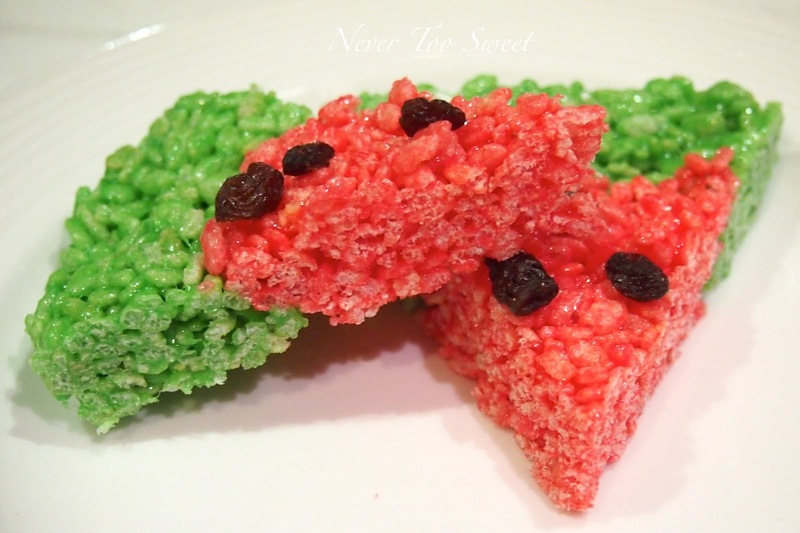 I love clever bakes which look like the thing they taste of – like these Watermelon Krispy Treats from Daisy at Never Too Sweet For Me. They are quite simple to make, and look very effective! Fiona from Sweet Thing You Make My Heart Sing returned with a second entry, and I’m glad she did as we get a chance to see these White Chocolate and Orange Cookies, which look absolutely delicious. White Chocolate was also the ingredient used by Caroline from Cake, Crumbs and Cooking in this White Chocolate, Blackcurrant and Apricot Cake. I’m not sure I’ve seen this particular combination of ingredients before, but it looks really nice! 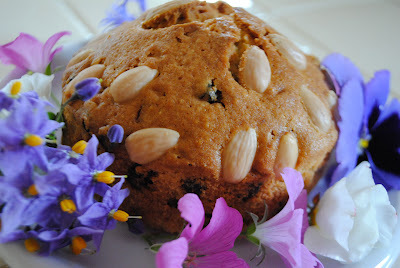 Jen from Blue Kitchen Bakes also sent us a second entry – Wholemeal Walnut Bread. She says it’s the perfect accompaniment to cheese and it does sound really nice. Thanks for sharing it with us, Jen! Denise at Magnolia Verandah treated us to this Baked Walnut Tart which she says is good served with cream or ice cream – yes please! 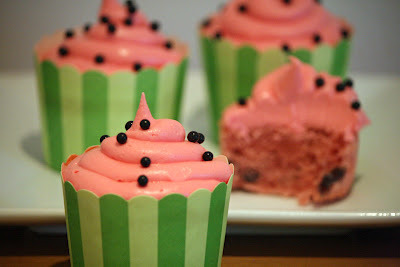 The last entry for this month is a cute one –Laura Loves Cakes has made these Watermelon Cupcakes using watermelon flavouring and green striped cupcake cases. I am going to bookmark this recipe! Jen from Blue Kitchen Bakes! Very nice! Can't believe I didn't think of Welsh Cakes!!!! Great round up. White chocolate seems to have been most popular followed by walnuts. What an interesting variety of recipes you've got though! what an amazing round-up!... didn't we do well! well done to jen from blue kitchen bakes. Wow what an amazing round up this month, I'm tired just reading it...can't imagine what it must have been like to compile all of that! another great alpha baking success - good work ladies! A Wonderful selection of Ws! 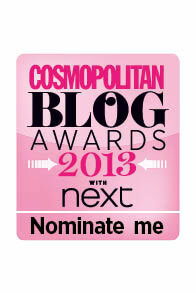 Thank you for putting together the round-up, I love reading how inventive everyone has been! 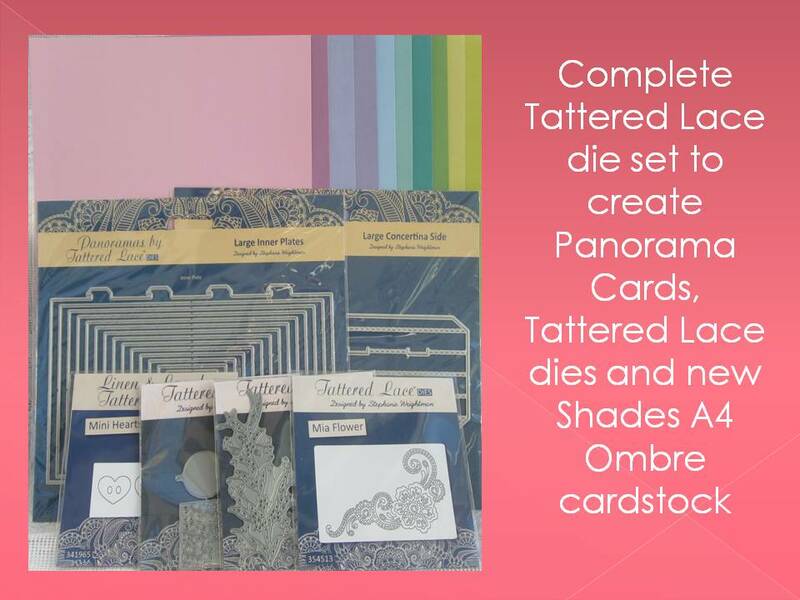 Wow, lots of lovely ideas here. Great to see what everyone comes up with each month. Love this challenge. It's so much fun. Another fabulous Alpha Bakes round up Caroline. So many tasty Ws. Very excited by the wasabi and wish I'd thought of that. I especially like the look of those very smart looking whiteout cakes. Thanks for the challenge and round-up. I'm so sorry Karen, I don't know what happened! I've just looked in the email inbox again and searched for your name and blog and nothing has come up since your V entry on June 27. I don't understand why - I've checked the spam folder too. Did you send it to alphabakes@gmail.com? If you can send it again I will of course add it to the round-up.